By Casey Callais 05/02/2017 — Something that I have been working on (off and on) for a while is a google map of our region’s projects. I think it helps give a clearer picture of where we are and how we get around. That’s Mesas de Acicaya under construction at the top and our office down at the bottom. 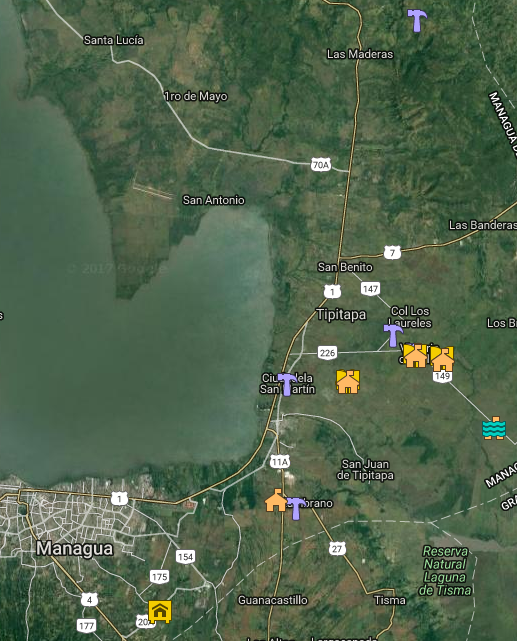 You can get an idea of the scale of our region by comparing the distances to Managua.